Specialization implies experience, detailed knowledge, education, focus, authority, and professionalism. And those are all things you get at Strategic Financial Partners of Kansas City. Since 1987 we have helped clients navigate the transition, complexity, and issues (both known and unknown) leading into—and continuing through—your retirement. Lifetime cash flow modeling—How long your money will last? We can run different scenarios and find out what will align best with your goals. The long-term effects of inflation and taxes—Using intelligent tax strategies designed to make your money last longer and/or increase your income is critical. Social Security strategies—When? How? Why? We’ll look at how your benefits affect your retirement plans. Medicare planning—What are your options and how do they fit into your goals? Long-term Care—As we live longer, the costs of care increase dramatically and you need to be prepared. Asset protection—Whether it’s from lawsuits and creditors, or elder fraud, we can work with your legal team and help you look for ways to protect your wealth. Estate planning—Will, trusts, health care directives, powers of attorney, living wills … there are many things to consider when organizing your estate with your legal advisor. We will work in conjunction with your legal team to help ensure that your estate transfer is a smooth process. Inheritance planning—We can go over tax and estate planning strategies to help your family get as much as they can upon your passing. Charitable impact—Find ways to be involved now while also leaving a legacy for when you’re gone. 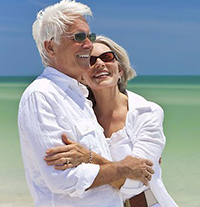 For a private retirement consultation, call us today at 913-322-9177, or email us at info@sfpkc.us. If you’d like to check out our “Rejuvenate Your Retirement” courses held three times a year at the KU Edwards campus, send us an email and we’ll contact you when registration opens for the next round of classes. Financial Advisors do not provide specific tax/legal advice. You should always consult your tax/legal advisor regarding your own specific tax/legal situation.